You may choose between THE FAST ELIXIR, which has 24 minutes of yoga plus vision fitness and a short-guided meditation, and THE FULL BODY ELIXIR, a delightful hour of yoga plus essential vision fitness exercises, and a brief guided meditation. The two programs come with an inspiring, information packed 40-page booklet, revealing the most potent practices and words for transformation from Calley's own experience, research, studies and ongoing healing journey. PRACTICE WITH CALLEY AT LAVA LAVA BEACH CLUB! 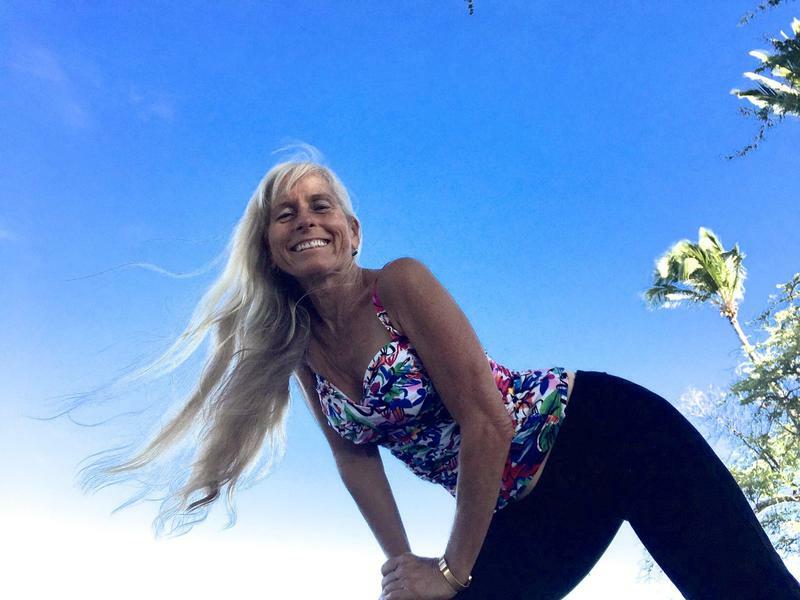 Calley loves to share yoga at Waikoloa Beach in the shade next to the ocean in the calm and beauty of the early morning, or at sunset. There are great benefits to having your feet fully connected with the Earth, in the sand and practicing in fresh air with abundant natural energy. Green Exercise (near trees) and Blue Exercise (near a great body of water) bring peace to your mind, energy to your body, and harmony to your heart. If you would like to gather your friends and family for a private session with Calley for a wedding, party, reunion, or spa day, call Calley for an appointment. There is no extra charge for bringing several of your friends and family. Calley will be happy to arrange to meet you for a series of seaside sessions so that you may transform your vacation into a healing retreat. If you are kama'aina, you are especially encouraged to gather your friends for a weekly or monthly yoga session. Calley can also arrange to come to your home for private sessions with family or visiting guests. 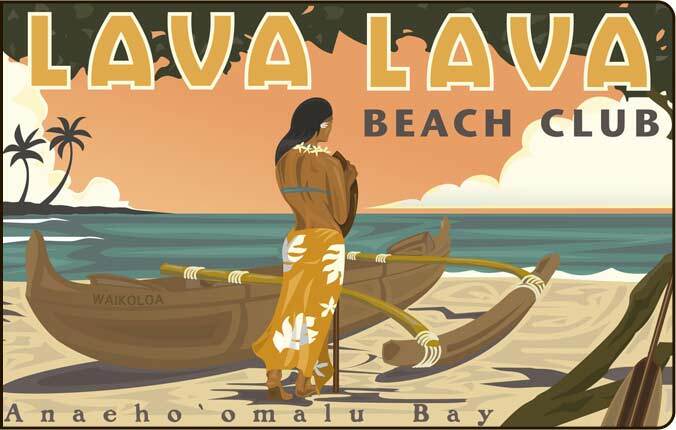 Beach options include Lava Lava Beach Club at beautiful Anaeho'omalu Bay at the Waikoloa Beach Resort, Holoholokai Beach Park, Spencer Beach, Wailea Bay, Hapuna Beach, or your own private setting. Calley also teaches meditation, tapping, stress busting, vision and memory fitness, ocean aerobics, pool aerobics and several different media in art. You are welcome to bring up to 5 people to Calley’s private sessions. Additional students - add $15 per person.